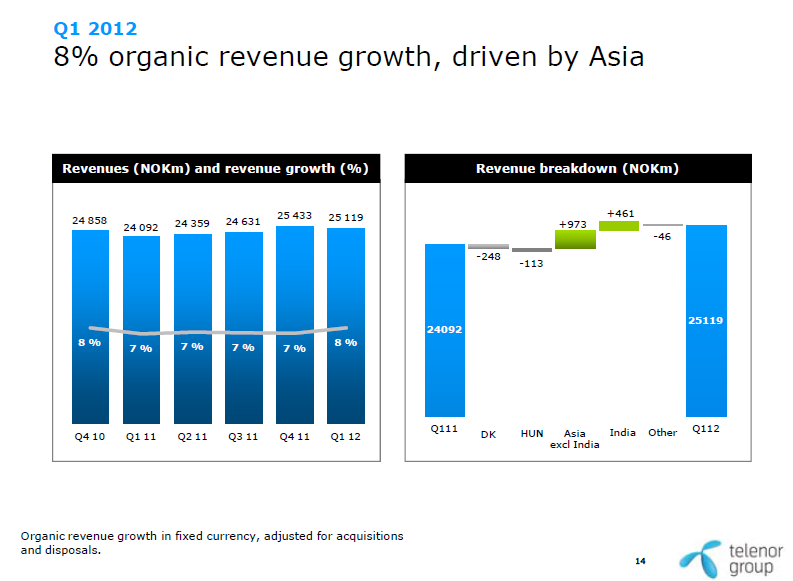 Multinational operator Telenor said that its revenues rose 7.6% year-on-year, on an organic basis, in the first quarter of 2012 to 25.12 billion Norwegian krone (4.31 billion US dollars), as it added 5.6 million new subscribers in the quarter. 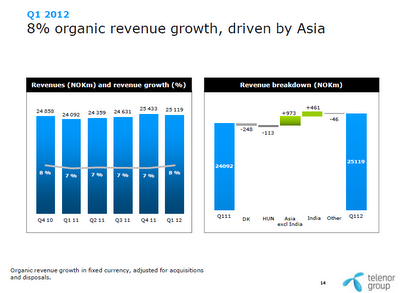 Excluding India, where Telenor's license is in jeopardy, the group's Asian operations recorded organic revenue growth of 14%. In Bangladesh and Pakistan, organic growth was over 12% and in Pakistan, Telenor's revenues grew 23% and in India, sales more than doubled.